Posted by V the K at 12:00 pm - December 16, 2015. Apparently, the Talking Point has gone out to all organs of the left to promote the “Republicans are running on FEAR” meme. The thesis that all of the “fears” raised by Republicans are illegitimate would only be (somewhat) valid if there had been no Islamist terror attacks under Obama, that there were no Islamist terror organizations threatening future terror attacks against Americans, and is there were no possible way that terrorists would enter the USA (or France) under a refugee, visa, or immigration program. Look, just because I fasten my seatbelt when I drive, does that mean I’m “living in fear” of other drivers? Does the fact that I wash my hands after handling raw chicken mean that I’ve “given into fear” of Salmonella? No, it means I am taking common sense measures to protect myself against tangible dangers. Securing the border, making sure the people we let into the country aren’t going to murder Americans… these aren’t crazy, fear-driven ideas. They are utterly rational and common sense. And so is Donald Trump’s idea of suspending immigration from hotbeds of Islamist terror until we get a better handle on how to manage it. Irrational fear would be something like, oh I don’t know, suspending Constitutional Rights to deny law-abiding Americans the right to own a gun. When Obama was first elected,they labeled the GOP as the party of “No”. Because how dare anyone disagree with “the one”? And as for Trump’s idea about suspending immigration goes. Federal law allows the President that discretion. Is the ban on Muslim immigration Constitutional? It doesn’t matter,because there is a Federal Law. What Donald Trump is proposing is in fact legal. That is the latitude that the President has with regards to immigrants. But this entire article just reinforces in me that belief that the biggest problem we have to deal with in this country is not global warming, nor terrorism, nor liberals/Democrats. It is a biased press. How can you be sure what the facts are when most of the sources of news are untrustworthy? My sister tossed that out about Trump. I told her she is the one that should fear, I can kill a moslem, but you don’t even know blacks shot up 17 people at a playground yesterday, but you would know if a white shot a single 10yo black. #2 A democrat president banned immigration from Iran. Only jew Russians got allowed in when the USSR collapses, but that made no sense as jew oligarchs snatched up all of the USSR hard assets. Clinton sent armed jackboots to take Elian Gonzales out of a closet, because he knew only the right side of the bell curve flees Cuban communism. 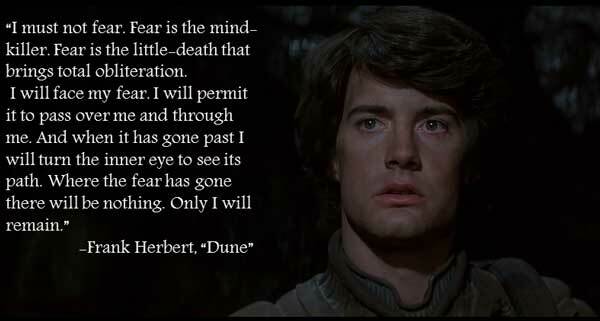 Nicely played, V. A pity Dune has never had a really good adaptation. Only jew Russians got allowed in when the USSR collapses, but that made no sense as jew oligarchs snatched up all of the USSR hard assets. Both of those assertions are false, Steve. Possibly you know they’re false, which makes you a childish troll; possibly you don’t know they’re false, which makes you laughably ignorant of post-Soviet history. Steve: please take your anti-semitism elsewhere. Fear-mongering is just another accusation that the left will use to try to portray all conservatives as evil. They’ve already managed to make the words Republican and Conservative synonymous with hate, homophobia, Islamaphobia, sexism, racism and any other ism you can think of (other than socialism). For the left to claim they too are not shaking in their boots after these terrorist attacks is pure hogwash. They are just as scared (and rightly so, since they given away all their guns). It is a mystery to me how they have succeeded so well in demonizing the right. There are actually people out there who think that all conservatives are racists. I know, because I used to be a liberal and thought just that. Sad.